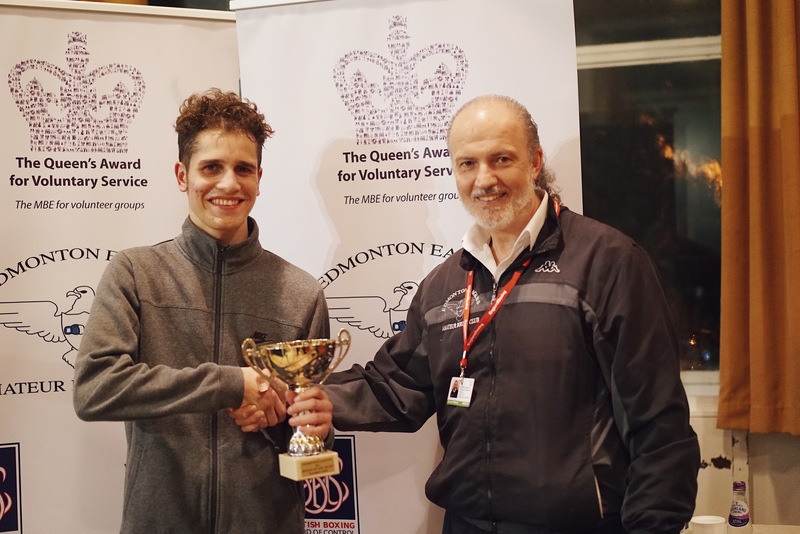 The Head Coach at Edmonton Eagles Amateur Boxing Club, Costakis Evangelou, was recognised in this year’s New Year’s Honours List with an MBE for his incredible dedication to the North London youth club. The club, who are on our Achievement Awards scheme, have also previously recognised the Coach with a Jack Petchey Leader Award too. Costakis has been recognised for his dedication to the boxing club and working hard to inspire so many young people throughout the years. He holds the responsibility of both Head Coach and Honorary Secretary at the club and, through these roles, is responsible for the total running of the club, driving all sessions and organising their various programmes. Costakis joined the club as a coach in 2004. He has always had an interest in boxing so when the club was founded he worked hard to get his coaching qualifications to support the young boxers. He took it upon himself to work up to a high standard so that he could help any young person wanting to develop a career in boxing. Costakis has worked hard to make the club as inclusive as possible. As it resides in a relatively deprived area of London, Costakis was determined to make it as accessible to young people as possible. Therefore, he has set up a number of free sessions throughout the week so that anyone, from whatever financial background, is able to attend and feel the benefits of the youth club. Young people get the chance to enjoy the benefits of boxing, develop their confidence and also get the chance to go on to gain their qualifications and pursue this passion as a career. We at the Jack Petchey Foundation have been proud to support this club and Costakis’ work since 2006. The club are part of the Achievement Award scheme and have benefitted from various grants to enhance the club’s facilities and opportunities further. Costakis was put forward for one of our Leader Awards for his dedication to coaching and offering young people the opportunity to develop skills and fulfil their potential. The club has plans to continue inspiring more young people to get involved in this positive and engaging activity. They hope to introduce more programmes into schools and youth organisations to reach more young people in the area.